Blue Moon Furniture- Blog-New Authentically Sculpted Collection in Now. New Authentically Sculpted Collection in Now. It ‘s unpacking day and we are uncovering some incredible pieces. The most beautiful coffee table in all of existence. Majestic Single Slab coffee table. This incredible side table is sculpted from a single piece of wood. Light and elegant. Beautiful, irregular, smooth and shiny. 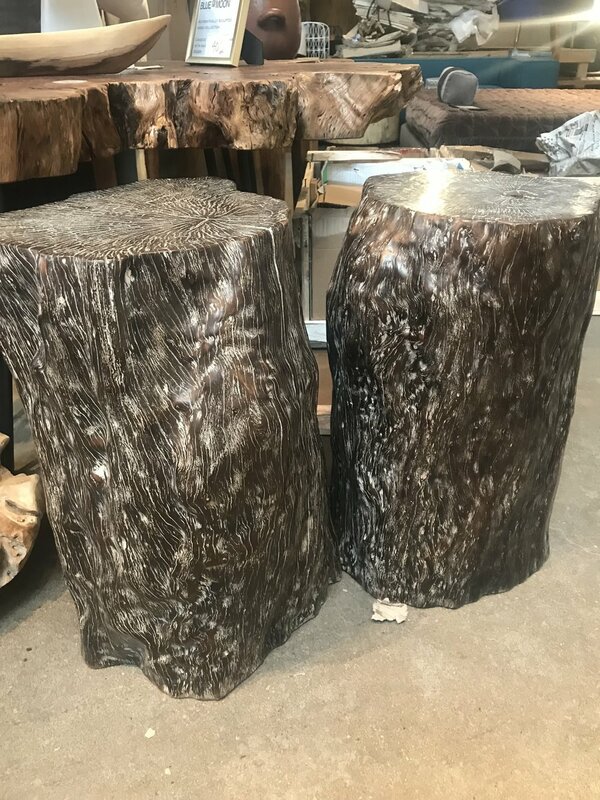 Stunning Tamarind side tables.